Confidence is an often talked about, but rarely understood aspect of the mental game. …while others caution having it will cause you to quickly bust your roll. It’s such a common, and controversial, topic that I decided to write a 3 part series to eliminate all the confusion. Before I share my thoughts I wanted to get opinions from some top pros. These are the people who are at the tables every day making a living from the game, so their thoughts are valuable to get to the bottom of this issue. 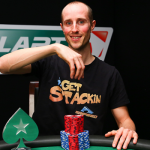 Jonathan Little: High Stakes MTT Player and Poker Author. Has over $6 million in career earnings and authored numerous poker books including Excelling at No-Limit Holdem, Secrets of Tournament Poker, and Strategies for Beating Small Stakes Poker Tournaments. 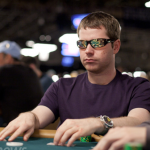 Evan Jarvis: MTT, Cash Game, and SNG player. 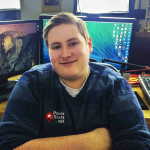 Founder of Gripsed.com, a poker strategy, and lifestyle training website. Adrienne Rowsome: Midstakes Mixed Game Player. Omaha H/L Specialist. 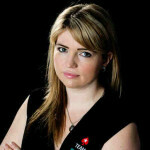 Member of PokerStars Team Pro Online. Occupational Therapist. Jaime Staples: Online MTT Player. Full-Time Twitch Streamer with one of the largest poker channels on Twitch.tv. “Confidence is extremely important, as long as it is based in reality. If you think you are the best player ever, but in reality, you are just mediocre, you will likely get crushed. Every year, countless players who crush their homes games go to Vegas for the WSOP. Most of them go home with only a story to tell. If you spend lots of time intelligently studying the technical aspects of the game and you do everything right away from the table, you probably have every reason to be confident. One “leak” I think some of the greatest players in the game have is a lack of confidence. They realize how much more there is to learn. They see all of the holes in their game and strive to resolve all of them. “Confidence is extremely important to being a winning poker player. Confidence allows you to pull the trigger when a good bluffing opportunity arises. It enables you to make hero calls that require trusting your gut and your intuition. Most importantly confidence is something that can easily be sensed by others, which leads to the creation of “Fear Equity”. The strongest position a player can be in is one which intimidates their opponents. When your opponents don’t want to engage in competition with you, your bets will see a much higher success rate. “Confidence is a key factor in decision-making – whether it be what to have for dinner, what purchases fit your budget, or if you are going to make a big raise on the river. Poker is an endless stream of decisions, and without confidence in your abilities you will quickly become burned out by questioning each decision you make. I have found that as the years have gone by my confidence has grown as I continue to learn and study. Initially, I was most confident with the basics, knowing the rules of the game and key strategy points. Add some time to that and I found myself confident not only in my understanding of the game but in my ability to be among the best. As a mixed game player, I am constantly recognizing varying levels of confidence every time the game changes. Focusing a steady amount of effort and attention to each game, regardless of confidence, comes with a payoff at the end of the day. It is important to keep your confidence ‘in check’ and not become automated or cocky in games. Keep confidence as a tool that supports your mental game but not one that overruns it! You can’t win long-term without confidence, but with an oversupply of it – you can easily be a detriment to yourself. “I think it’s essential! All we have while playing is prior knowledge about the game (which shouldn’t be changing in session) and our ability to pull the trigger based on that knowledge. It’s no surprise that these 4 top-level pros agree that confidence is important to play winning poker. It’s not enough to know the right play, you must also execute it on the tables. Confidence is the tool that allows you to push through any mental resistance you might have to make the difficult, but correct, decisions. As Jaime said, it’s all about being able to trust yourself. It’s not enough to simply have confidence, you need to have the right kind of confidence. There are two types of confidence poker players can have. The first will lead to quickly flushing your bankroll down the toilet, and the second is key to taking your game to the next level. In Part two I’ll share with you these two types of confidence, and reveal my formula creating the right kind in your game. Hey! Awesome topic and great interviews. Looking forward to read the next part. I love how you connect poker to sport/performance. This is what ive been longing for for long!